Our mountain top trunked repeater network provides wide area Push to Talk (PTT) coverage so you can talk to your team wherever they are. Complete voice and data AVL solutions included, GPS tracking options are available. 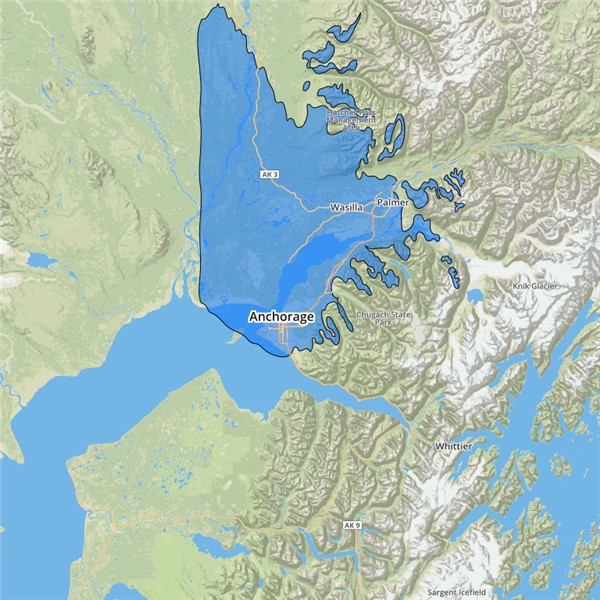 With this system, Arcticom supports dozens of dispatch and radio fleets across the Anchorage bowl and the Mat-Su Valley. Need coverage outside of our coverage area? Extend your PTT coverage with EPTT by installing an interoperability solution using your cellular telephone. We can provide a turnkey solution and widen your coverage area. Call today and get set up with Arcticom’s Private 2-Way Radio Repeater Service. Simple, cost effective with stellar quality of service. Arcticom LLC is an active subsidiary owned by Bering Straits Native Corporation (BSNC), an Alaska Native Corporation. Arcticom is a Small Business Administration (SBA) approved Small Disadvantaged Business and 8(a) certified contractor. Arcticom, LLC (Arcticom) is an active subsidiary owned by Bering Straits Native Corporation (BSNC), an Alaska Native Corporation (ANC). © 2019 Arcticom/BSNC all rights reserved. All other trademarks are the property of their respective owners.